And so it was upon us. The penultimate game in what had been an eventful Season 18. The stage was set and 21 players made the trip down to arguably the best poker hosts outside of any Casino down at the New Talbot. (seamless plug) It was extremely close at the top, 1 point in fact that separated this season’s top 2 but effectively any of the top 5 could do it, albeit with a bit of help! It was quite fitting that both 1st and 2nd in the league were deservedly 1st and 2nd in the BCPC rankings making it a real clash of the titans. Nic’s fine form with a 1 2 at the beginning of the season had set him up nicely to take on Adam knowing a 9th place and a finish above his counterpart would result in his 1st BCPC League title. Things got underway with the BiAGM, something was mentioned about the dealer posting the antes to try and speed up the game. It will be trialled in the upcoming season for a game. 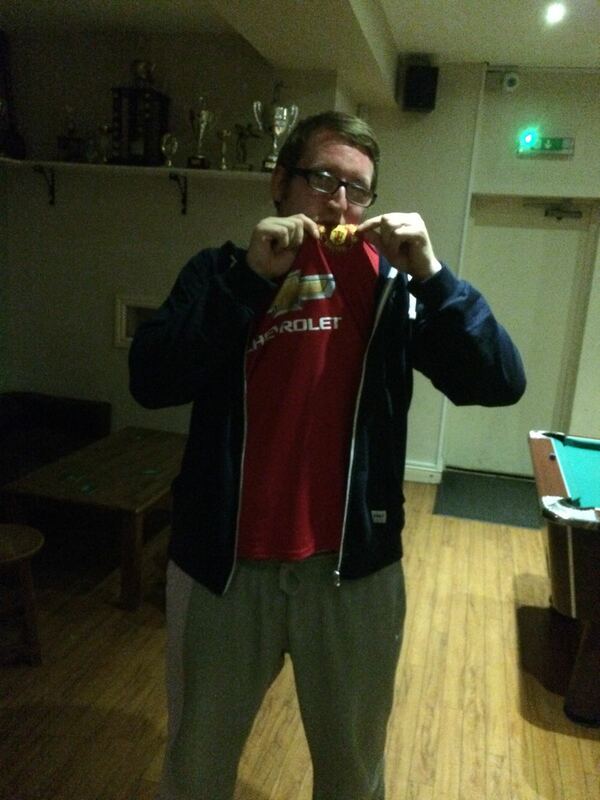 A special mention also to Tony Griffiths who won the Nuts mini league through the BCPC. Here you can see him resting his head on Mooch due to the sheer weight of the trophy on his head! Anyway…. Back to the action! Nic and Adam were conveniently seated next to each other making for an interesting cagey start or so we thought. 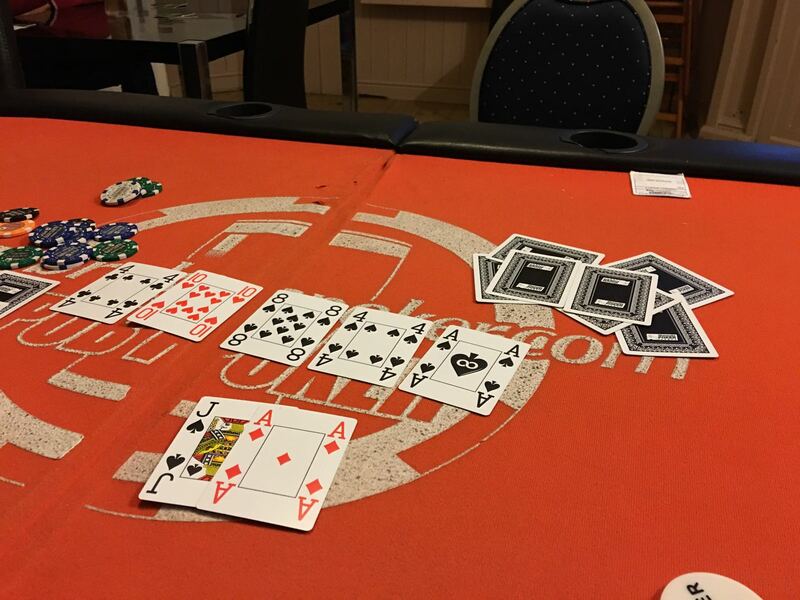 At the first blind level, Nic raises to 125 preflop. Phelan comes along and they see all 5 down to the river. Adam makes a health 525 bet which was called by Nic and Adam duly mucks. Nic turns 7/2 for the set playing it like Aces that man! Next up it was Cromwell’s turn to lose a few chips to Nic. 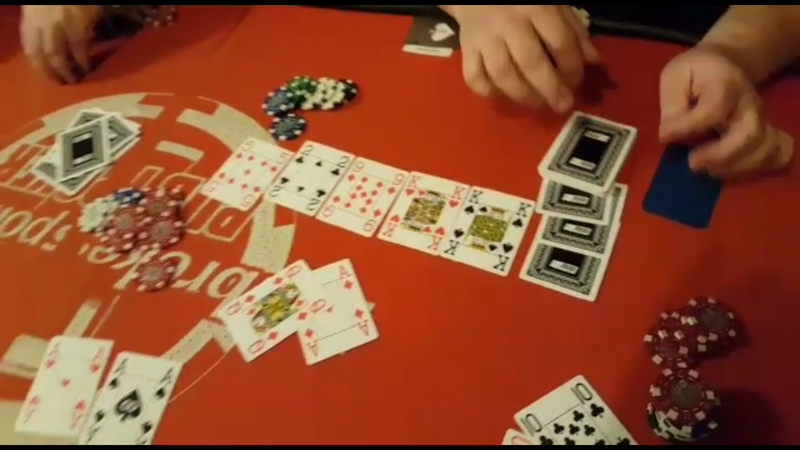 Matt raises preflop and finds a caller in Nic. The river was bittersweet for Matt who couldn’t resist the temptation of calling Nic’s river bet, but he was behind from the flop. 2 pair over full house and Nic was making a cracking start. The high hand submit group had been setup via WhatsApp giving the opportunity for all players to contribute to the blog report and on its’ debut night it found success! Brian being the first to submit a hand that Gareth may want to forget! 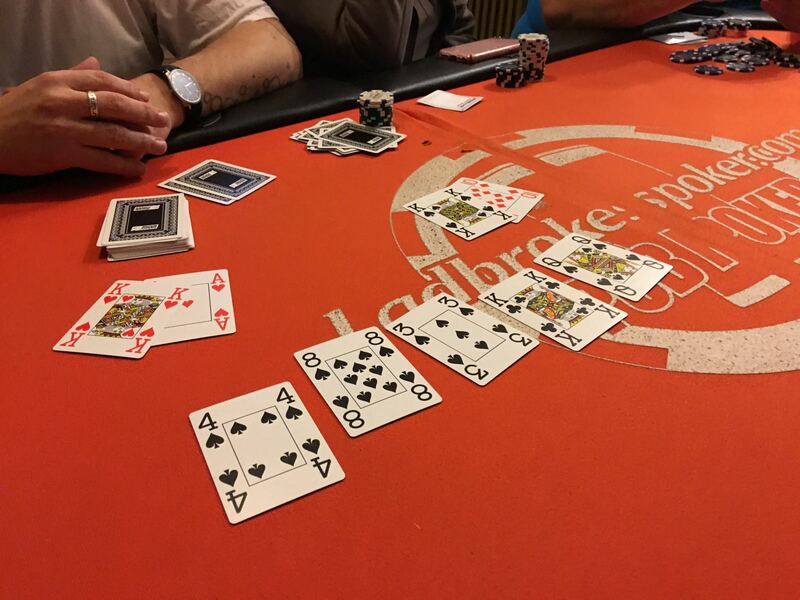 All in preflop Gaz shows pocket Queens, it looked good until Liam showed the Pocket Rockets. With no help over the 5 Gaz loses most of his stack. Not much longer and he would become the first to exit in 21st. It seems like there’s a bit of rivalry between Gaz and Liam. Gaz claiming he would have folded to anybody else but the Blue blood man. It will be interesting to see further battles between these 2 next season! Wood was getting involved in the action too. 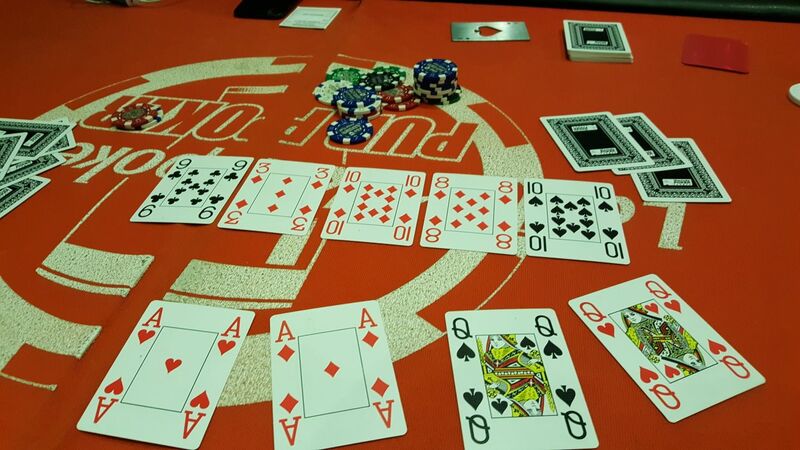 He limped with Adam and Nic and the flop comes 68Q. Everyone checked and Tod made the bet. The other 2 called. Same thing happened on the turn but Adam decided to get out of the way. An ace is delivered on the river and Tod pushes all in. Nic duly folds giving Tod a nice return for his first hand. 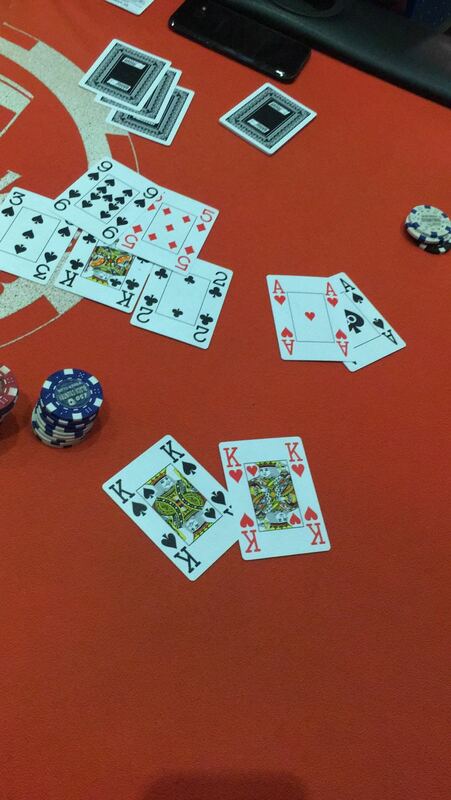 Special shout out to Charles Mason who was not only dealing but managed to multitask and submit this hand. It wasn’t quite the Tod, but it worked well for this; Chris taking a chunk of Tony’s chips with the flush. Kev exited us not long before this hand in 20th. His hand? Queen 10 on a Q6x board. Tony had QJ giving Kevin kicker problems that would ultimately result in his demise. 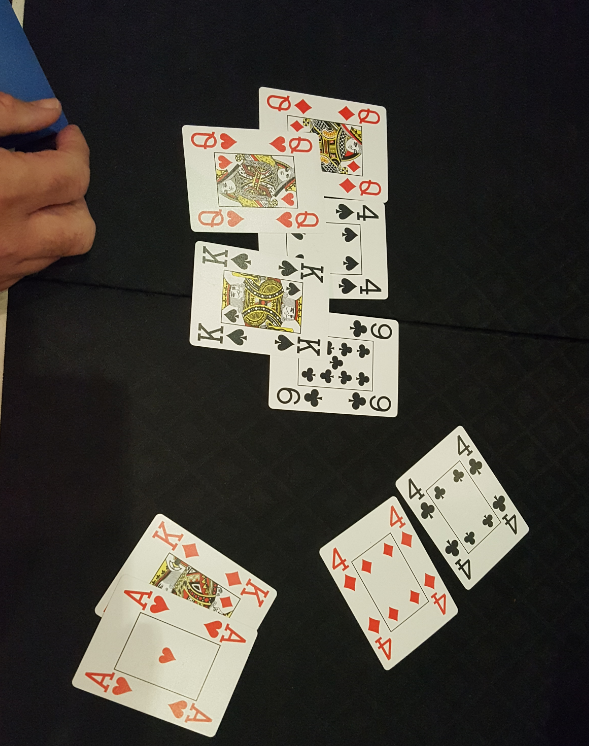 Mason, (probably too busy multitasking) had folded 6/5 in the same hand. Turn 6, river 5. Charles his hoping his clarevoyance skills are back for next season! 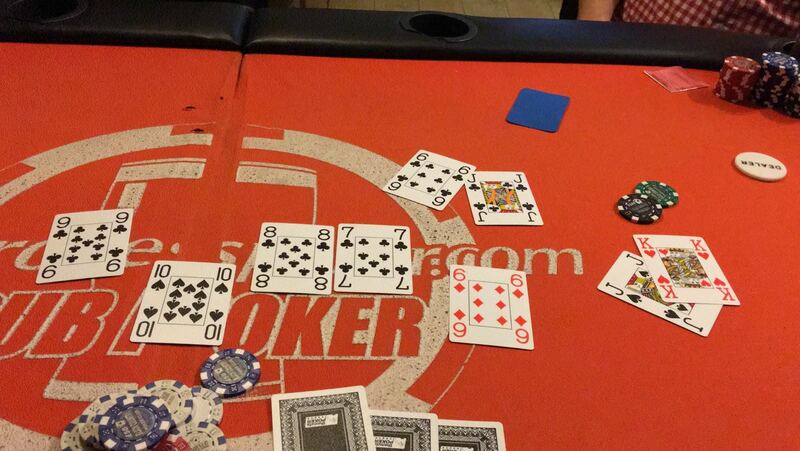 Poxon must have been seathing; his pocket Kings giving away a double up to Ricky with his monster 4/5! 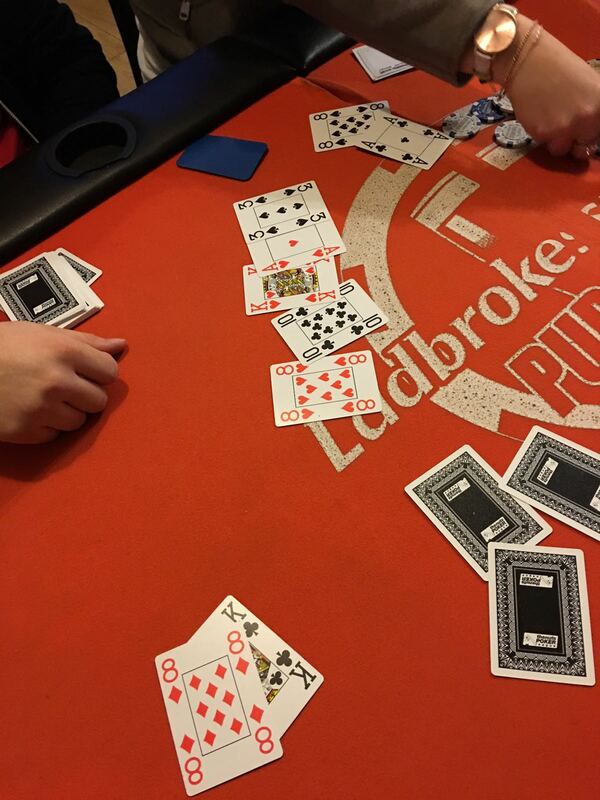 Ricky was on a heater and got involved in a 3 way all in preflop, SAUCY! His partners in crime? Liam and Mooch. Mooch shows pocket 10’s, Liam AQ and Ricky with the pocket Aces. No change from the community cards and Mooch exits in 16th. Nic Rawlings dreams of his first BCPC title were over after exiting in 15th; His A2ss vs Tod’s A9hh left him with kicker issues. Phelan could now relax slightly, although there was still some work to be done. Chris would leave us in 14th position and was taken out by no other than Adam Phelan, his A3 too good for Baker’s 7/9 suited. Phelan by now almost had the title within his grasp. Brian decided to get his chips in with Liam, a classic coin toss A/K vs Liam’s 7’s blind vs blind. Unfortunately for Brian the ever so slight favourite held leaving the remaining 12 to battle it out. 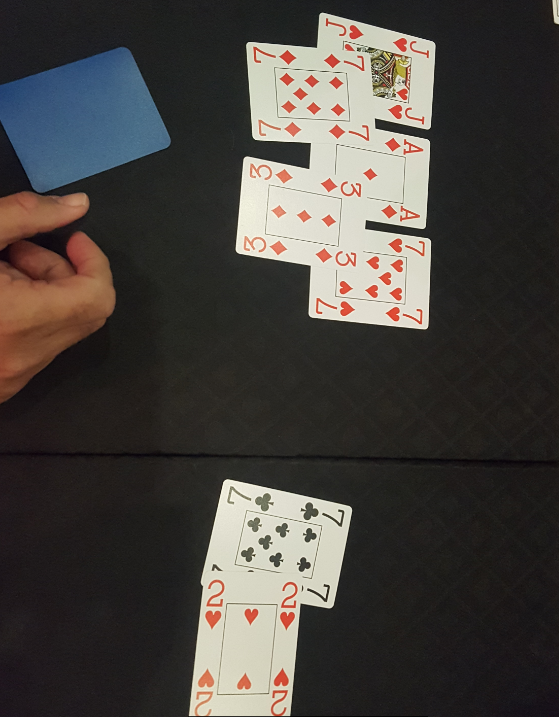 Claire Bailey, who was hitting sets early on in the game came up with another one; Her pocket Kings looking unlikely against Phelan’s pocket Aces, but lady luck dropped a king on the flop and Adam loses a stack, unlucky Adam! Tony G put in a brave effort but was ultimately finished; unluckily losing with his AQ to Mark England’s KQ. Tod Wood was next to bit the bullet with Phelan raising with KJ, Tod shoving with A8 before Marc woke up with AQ. With the little Tod had left he got it in with 64dd against 67ss. 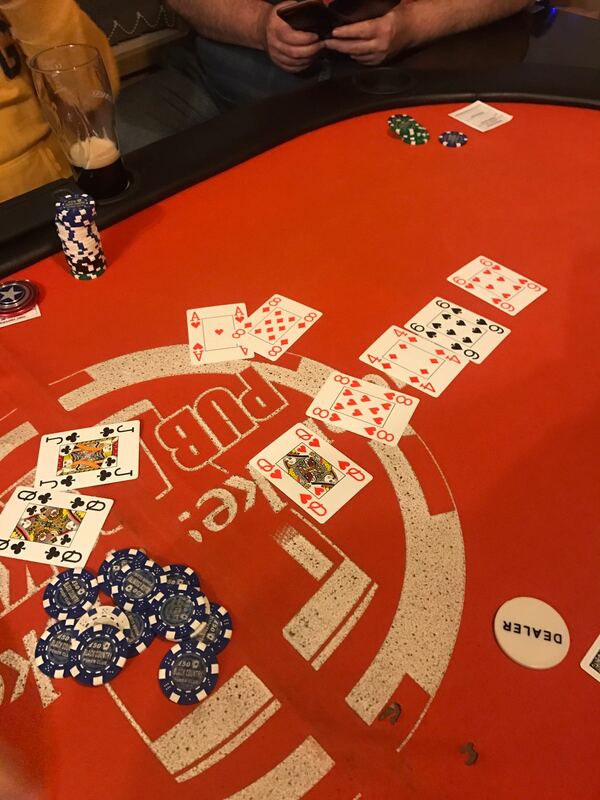 The flop showing QQQ gave a hope for a split pot. It was further enhanced with a 10 on the turn, but a 5 on the river meant the 7 played and that would give us our final table! Ricky would be the first to exit with a 10th place finish; kicker issues again seeming to be the theme of the evening. Ricky showed an Ace but Liam had it covered with the Jack. Adam would be next to exit in 9th position. It would mean that a good performance from Charles Mason could see him snatching the trophy from right under the nose of Adam. With 7 points now separating Adam and Charles; a 4th place would see the title firmly changes hand from the favourite to the outsider currently occupying 3rd place in the table. Amy left us in 8th position, her AK unfortunately not holding vs Liam’s King 10. It wasn’t the 10, but the flush that ended Amy’s night in the cruellest of ways. Out in 7th was Simon Smith. His A8 no good against Mark Ward’s QJ. A queen on the river sealing his fate. With 6 left Adam must have been getting nervous whilst Mason grew ever closer! Tony Trippier seemed to be having a quiet night albeit making the final 6. The WhatsApp group didn’t seemed to make much mention of him and Tony forgot he’d made final table. All’s well that ends well and others managed to get a word in edgeways :-p Trippier; out in a very respectable 6th place. Mason put in an almighty effort, but just couldn’t quite pip Adam to the post; His K8 met by Claire’s A8. 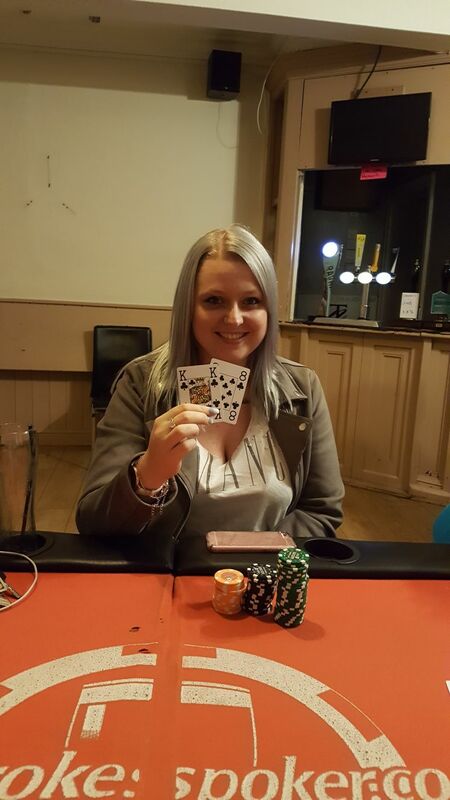 Both made two pair, but it was ultimately Claire who had the Ace up her sleeve and delivering the title in to Adam’s lap! Valiant effort Mason! The title was won but there was still a matter of money, pride and seats to be played for. 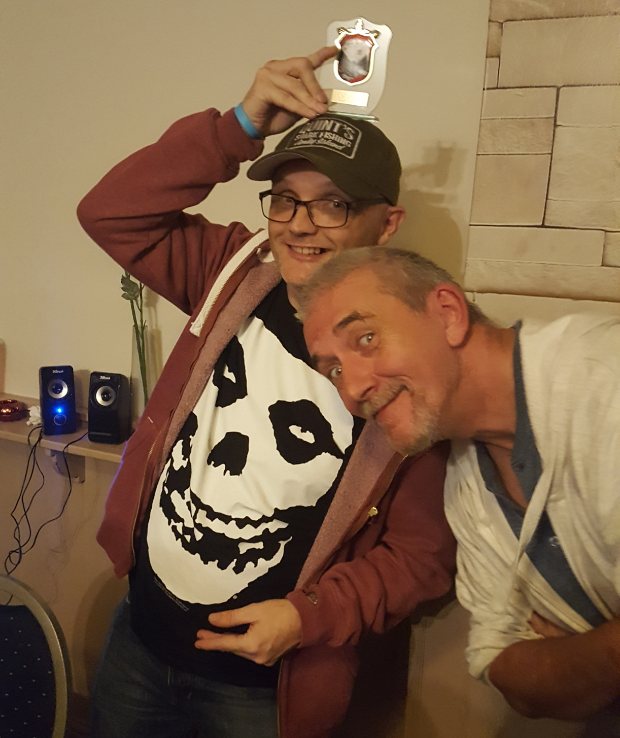 With that the game carried on seeing Mark England exit in 4th, Mark Ward in 3rd and Liam being beaten heads up by Claire Bailey giving her a first ever BCPC win! Big congratulations to Claire on the night and to Adam on his season title. In Adam’s own words on his title win. Well you deserve to Mr. Phelan, well played sir! Haven’t managed to catch a word with Tod about programmes, but Walking Dead new season is back on TODAY! If you don’t watch it i’d suggest having a catch up and getting with the programme (excuse the pun) Quick thanks to Tod from me over the course of the season for helping out with Excel where I make FUBARs. Remember to check out the calendar of upcoming games and events. If you’re new to the club, have a look around the website. If you have any comments, please let me know.